You are here: Home > FAQ > How do you know when to replace spray tip? How do you know when to replace spray tip? 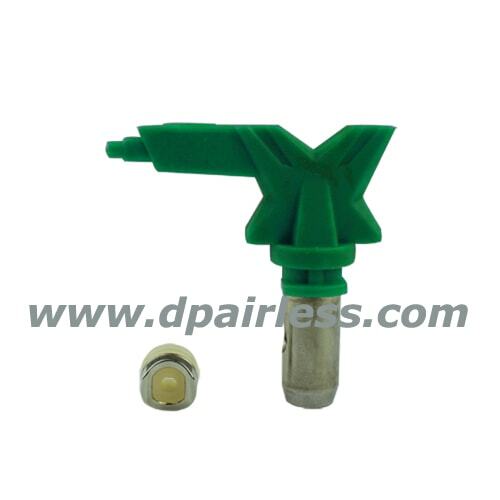 Spray tip is easy worn spare parts. All tips will wear out in time depending on the abrasiveness of the material. The more high viscosity of the material, the faster the tip will wear out. Latex for example, will start to wear the tip out anywhere from 40-50 gallons. Stains, being less viscosity, will last longer. And if spray tip wears, you will find the fan length gets shorter and the hold size gets larger. The end result is thin line. Please see below picture. Check your fan pattern versus this test pattern and replace the new tip when the fan size has collapsed 25% of its original size. And increased paint consumption is one of indication to replace new spray tip also. Use a softer brush to clean your tips after everyday used. Spray at the least amount of pressure necessary to atomize paints and produce a good spray fan. Strain the material with cheesecloth or strainer bags before painting to reduce grits. Clean your filters (gun filter / manifold filter / suction filter) after everyday used. 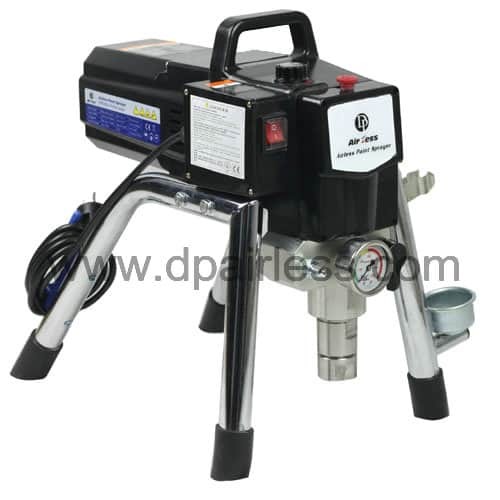 How to Troubleshoot a DP Airless Paint Sprayer? 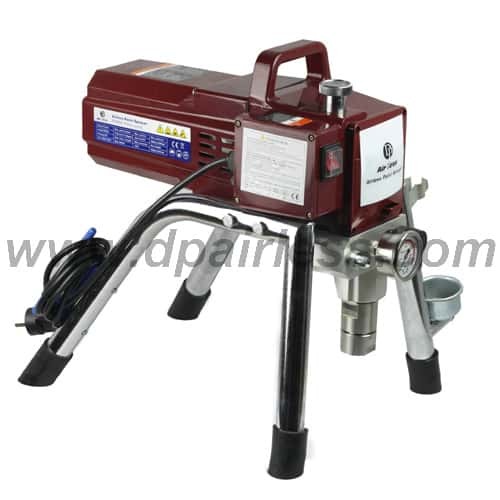 What will be the main difference for the motors of the airless paint sprayer? How to spay putty / plaster with airless paint sprayer?